Thirteen Reasons Why was released earlier this month, yet it is clogging all of my social media newsfeeds. Its popularity is not surprising, as teenagers love drama, scandals, and high school myths that should have died decades ago. 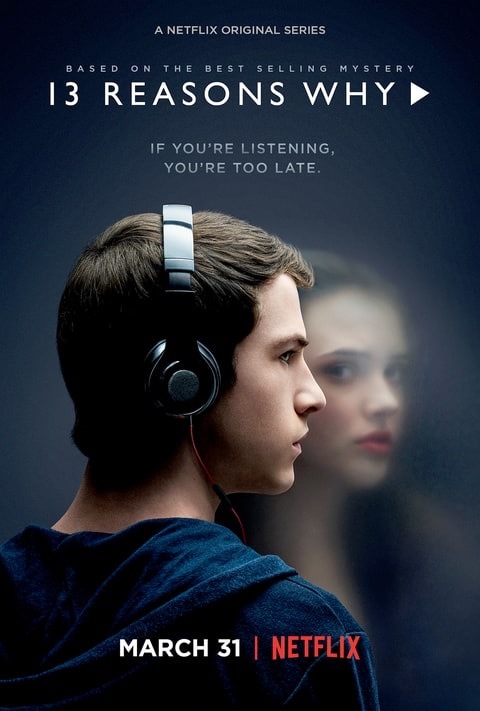 With all its stereotypical high school drama plot lines, one part specifically seems unique: much of the plot focuses on unraveling the seemingly mysterious suicide of Hannah Baker. If this had been released a few years back, I would have rolled my eyes and moved on, but last year, I was hospitalized for a suicide attempt. The glaring misconceptions the show perpetuates is more than just a silly mistake the writers and producers made; it is ignorant, poorly researched, and stigmatizing. Its most dangerous assumption is that suicide is a revenge plot. Hannah Baker records thirteen reasons as to why she killed herself, and sends the tapes to thirteen people who “made her suicidal.” She then threatens them, saying if they do not follow her directions, she will have an undisclosed source release the tapes publicly. Essentially her suicide note was a game. These people hurt Hannah, so Hannah wanted revenge. As someone who struggled with mental health, I constantly fight the stereotype that suicide is a form of revenge. College administrators and even trained psychiatrists and therapists accused me of trying to hurt those around me. Suicide is a topic I dread talking about because I felt so much pain that I wanted to end my life. I reached the point where I did not care who hurt me in the past or who would be hurt by my actions; I just needed relief. In Thirteen Reasons Why, however, Hannah meticulously creates a map and instructions for those who hurt her to follow. She even challenges people to throw a brick through a classmate’s window. This is vindictive behavior. Hannah’s reasoning seems to be that she must hurt those who have hurt her. This plot line underscores the immense pain people with mental illness are in. The one realistic part of the show was when Hannah was sexually assaulted. It is more realistic that she would kill herself after being traumatized, but that still does not explain the map or the recordings that listed twelve other people whom she held responsible for her death. Yes, many of her friends hurt and betrayed her, but it is outlandish to blame them for her suicide. Friendships fall apart and people spread rumors, but that does not drive everyone to kill themselves. Also, it seems unrealistic that Hannah would spend so much time and energy on the tapes if she was suicidal. When I was at my worst, I barely cared enough to go to class; I certainly did not have the energy or desire to map out everything that went wrong in my life and shame everyone who hurt me. I have since received treatment for my illnesses, and I am grateful for the doctors, friends, family, professors (and my cats and dogs) for giving me hope when I could not muster any up, however, I still do not take suicide lightly. Suicide is not a vindictive game or a revenge plot; it is a deadly symptom of mental illness.